To coincide with Fabulous Babylon, I produced a series of thumb nail-drawings depicting what I like to call snap-shots or 'stories' from the city. 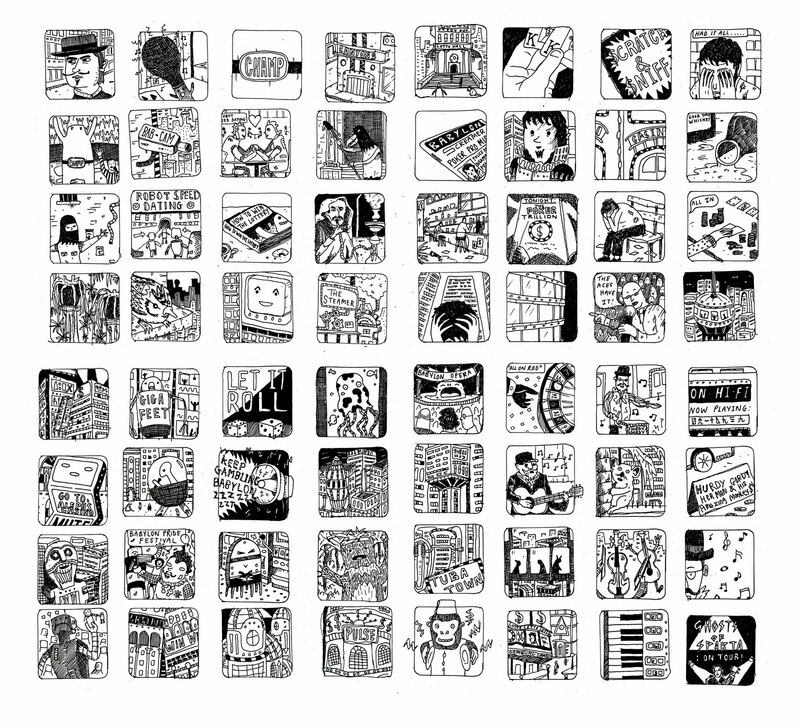 I made over 300 of these thumbnail drawings in total. They act as a means of providing a closer look at city life, showing details too small for the bigger picture. One set consisted of sixteen thumbnail drawings, some of which followed a story or theme, with most not relating at all. I draw and colour stuff in and my first picturebook SUPER HAPPY MAGIC FOREST is out now! 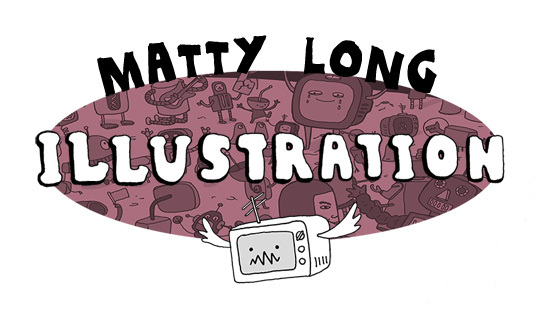 All works are copyright © 2012 Matty Long. Reproduction, distribution or any other use of images is forbidden without prior consent of the artist. All works copyright © 2012 Matty Long. Reproduction, distribution or any other use of images is forbidden without prior consent of the artist.